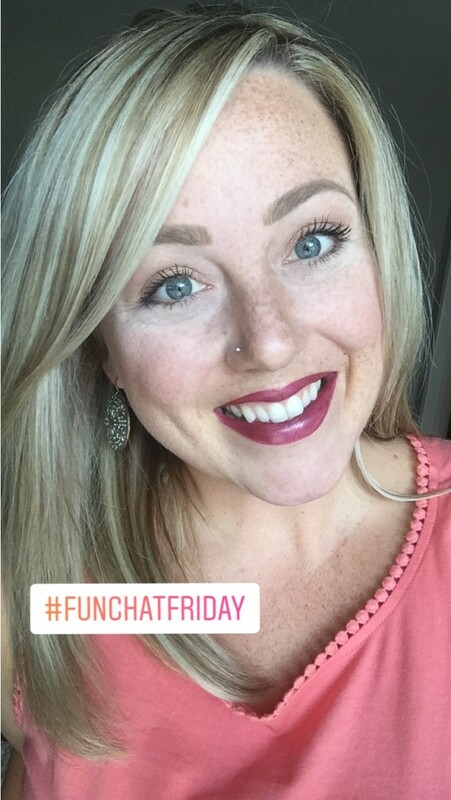 In the last month, I’ve begun a weekly digital series that I’ve titled, “Fun Chat Friday.” Through Instagram Stories I share about a variety of topics each week as a way to invite you to learn more about me on a personal level. It’s a great way to interact with all of you and I’ve really been enjoying it. I launched the series by debunking the myth that I had breast cancer. Many of my social media followers were under the impression that because I have several friends who survived breast cancer, I must have too. Since then, I’ve addressed frequently asked questions including those about my nutrition and gluten/dairy/sugar-free vegetarian lifestyle, the top five ways I cope with scanxiety, and most recently, what life looks like now and what projects I am working on as of late. I’ve been given wonderful feedback from these weekly episodes, and am surprised at how well they have been received by all of you. It’s nice to put a face and voice to my words, isn’t it? Sometimes a person’s full personality doesn’t entirely show through written words, but seeing them interact in a more personal way adds depth to one’s character. If you don’t already follow me on Instagram, please do (@derailingmydiagnosis)! Some have asked how Instagram is different than my Facebook business page or even my blog and to be honest, it gives you a deeper look into my life. I share throwback photos of my time fighting cancer, sneak peeks into my daily life after cancer, and what inspires me now. When I visit the doctor, I take you along with me, sharing pictures and videos in real time. You see my minute-by-minute updates, my raw emotions, and what it’s truly like behind the scenes of my life. Instagram has become a platform where I share more intimate details of my journey, and has quickly become my favorite way of sharing my story. As previously mentioned, every Friday I post a video series on a wide array of topics. Some topics are more serious and others are lighthearted and fun. Every topic comes from emails I receive from you. So, if you have a question or would like me to speak more on a specific subject, let me know! The only catch to these stories is that they disappear after twenty-four hours, which gives you incentive to tune in each week. Though if you miss a Fun Chat Friday episode, you’re not entirely out of luck. 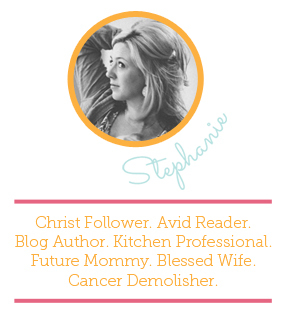 Some of the topics will be featured here on the blog in the weeks following each episode. For example, this month I’ll be writing about two topics previously featured on Fun Chat Friday: nutrition and my five tips for coping with scanxiety. On the lineup in the weeks to come, I’ll be sharing about the side effects I experienced during treatment and those that continue to linger after, my favorite products (hair, makeup, and accessories), how I choose joy in the midst of the storm, and who is most inspiring to me. I am loving this new venture and enjoy having a space that I can more readily interact with all of you. One of the most revealing things that I’ve learned in sharing my story so openly is that we really do need each other. We are not meant to walk through life alone. Social media, though at times overwhelming and intrusive, provides an incredible community for all of us. No matter if you are currently fighting cancer, have survived the disease, or are walking a similar path of suffering, the power of social media has the ability to unite us. My ultimate goal for Fun Chat Friday is that you would know you are not alone. Let’s be vulnerable with one another. We’re in this together. I receive daily emails, direct messages, and comments from you, and each one impacts my life. Though it’s been over five years that I publicly began to share my story, reading each note continues to leave in me in awe at the simple beauty of communication and camaraderie. I am grateful for you. For your dedication in following along as I have faced my darkest seasons, my most memorable moments, and the tremendous growth I’ve experienced and wisdom I’ve gained over the years. Your support and encouragement never go unnoticed. If you want to join me each week — to laugh, maybe cry, and most definitely learn more about me — tune in to Fun Chat Friday! This week I’ll be digging into the past in a way I haven’t yet done. I’ve spent days scouring the hundreds of pictures we took during the very midst of my fight, specifically looking for the ones that tell the painful story of the side effects I experienced during treatment. Many have asked how chemotherapy, radiation, and surgery affected me then and how it still affects me now, so that’s what I’ll be chatting about this week!